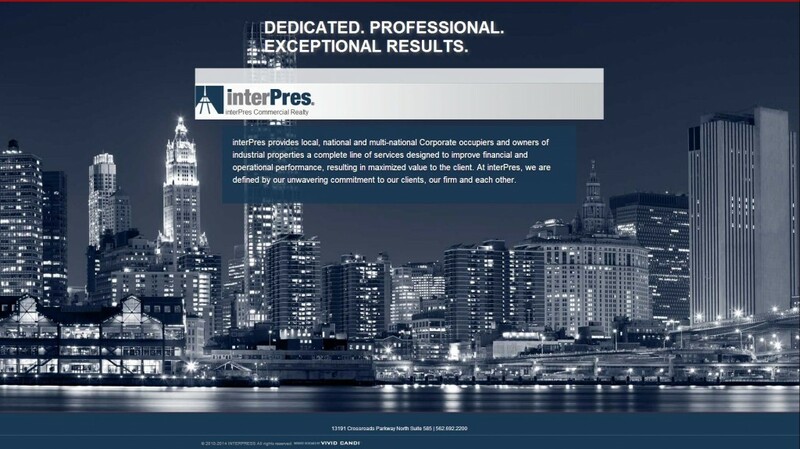 Vivid Candi custom branded, coded & developed www.interpresrealty.com for our client, Interpres Realty, a commercial real estate agency. 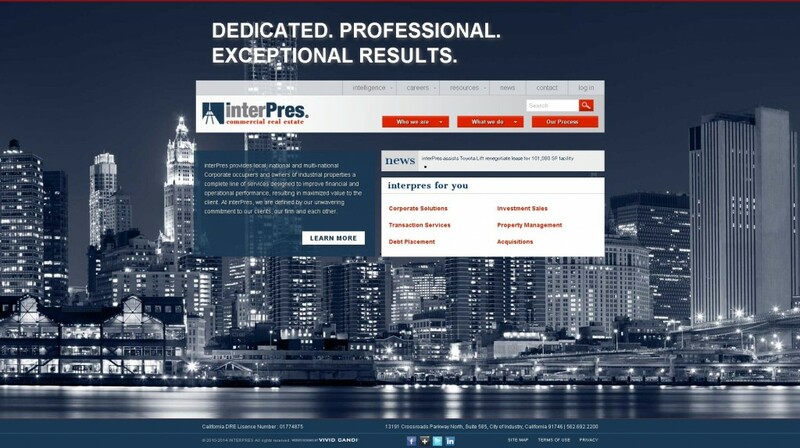 Website features & functionality: Custom branded design. WordPress content management system (CMS). Responsive HTML for a seamless experience on Mobile/Tablet devices. 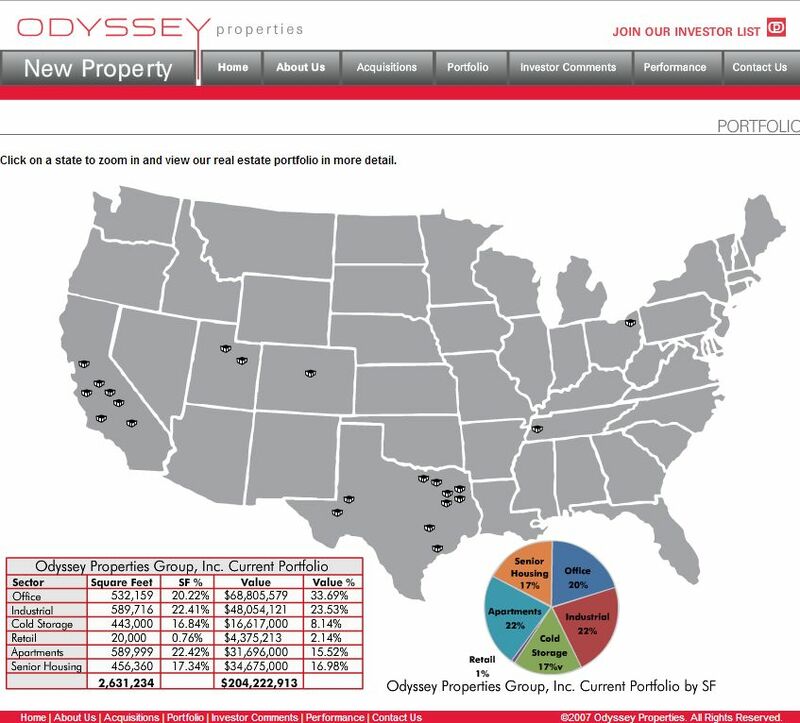 Vivid Candi custom branded, coded & developed www.odysseyprop.com for our client, Odyssey Properties, a commercial real estate investment corporation. Website features & functionality: Custom branded design. Interactive real estate portfolio. Flash interactive elements.